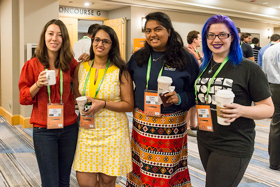 JupyterCon brings together data scientists, business analysts, researchers, educators, developers, and core Project contributors and tool creators for in-depth training, insightful keynotes, networking events, and practical talks exploring the Project Jupyter platform. 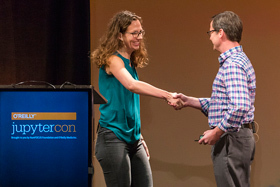 JupyterCon focuses on real-world practices and how to successfully implement interactive computation in your workflow and projects. 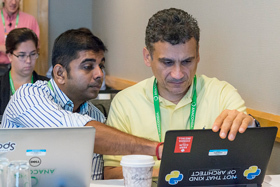 In just four days you’ll discover the best practices for collaborative and reproducible data science; new use cases, and the expertise you need to transform your workflow with Jupyter. Known as a "player/coach", with core expertise in data science, natural language processing, machine learning, cloud computing; 35+ years tech industry experience, ranging from Bell Labs to early-stage start-ups. Co-chair JupyterCon, host of Executive Briefings at The AI Conf and Strata Data. Evangelist for Computable. Advisor for Amplify Partners, Deep Learning Analytics, Recognai. Recent roles: Director, Learning Group @ O’Reilly Media; Director, Community Evangelism @ Databricks and Apache Spark. Cited in 2015 as one of the Top 30 People in Big Data and Analytics by Innovation Enterprise. is an associate professor of physics and data science at Cal Poly State University in San Luis Obispo, CA. His research focuses on building open-source tools for interactive computing, data science, and data visualization. 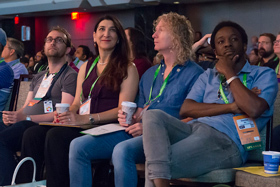 Brian is a leader of the IPython project, co-founder of Project Jupyter, co-founder of the Altair project for statistical visualization, and an active contributor to a number of other open-source projects focused on data science in Python. He is an advisory board member of NumFOCUS and a faculty fellow of the Cal Poly Center for Innovation and Entrepreneurship.